This was a lunch for Rose from a couple of weeks ago. I am taking a children's natural nutrition course right now - this one breaks the rules as the cheese wedge & graham crackers were not the best choices- but I was using up some items that we still had on hand. We're a work in progress! Rose has - apple slices, green grapes, mini bell peppers and snap peas, Laughing Cow cream cheese spread & cheddar cubes, graham crackers & pumpkin seeds. 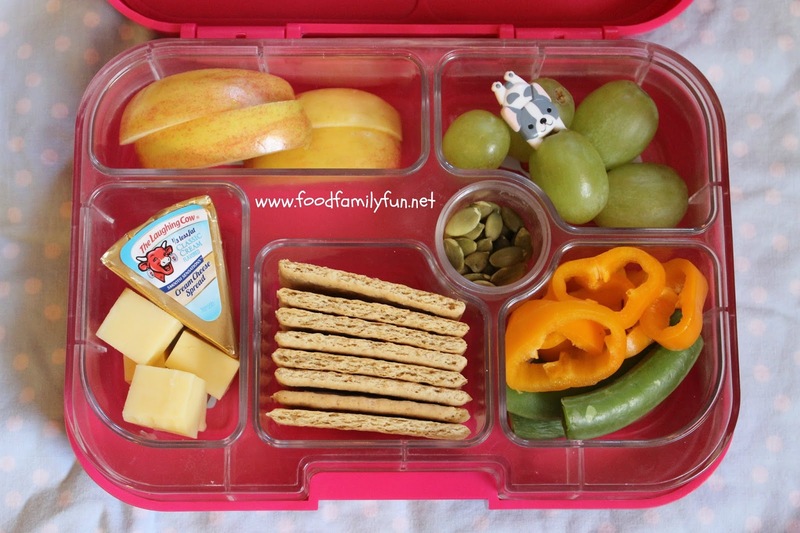 I love the Yumbox for this kind of snack style lunch. Little bites of many items. Rose loves her lunch to have this kind of variety.